It's another week, which can only mean one thing - another supposed leak relating to Apple's still in development iPhone 7. This time around, new photos reveal the firm isn't just working on vanilla and Plus versions but an even beefier Pro model. That's right, three different incarnations of the next iPhone are purportedly being prepared for the big reveal in September. 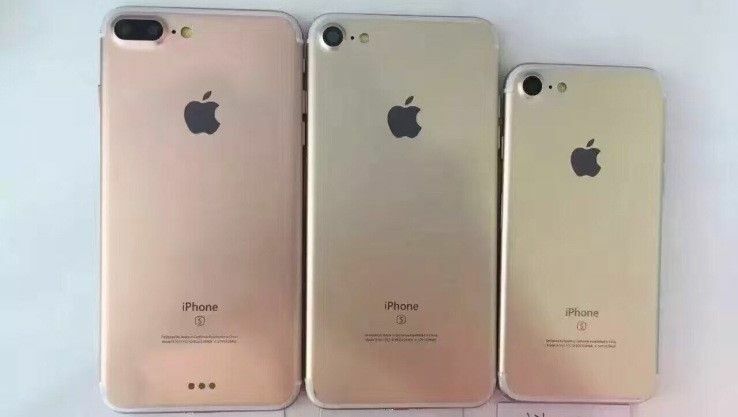 This isn't the first time we've heard murmurings of a potential iPhone 7 trifecta - a Chinese repair shop shared three different components for the next generation of iPhone, indicating that there would be an additional third variation alongside the usual pair - but it is the first time we've seen an actual shot of all three together. The images, which were acquired by French tech site Nowhere Else, show plenty of features we've already seen rumoured and speculated upon, including the smaller sized, 5.4-inch iPhone 7 and the distinctly larger iPhone 7 Plus. It was assumed that the iPhone 7 Plus would be the sole user of the new dual-camera system, but if these leaked shots are anything to go by then the Pro model will be the only only version sporting two cameras on the rear. As we reported two weeks ago, the changes to the iPhone 7 aren't revolutionary in the regular and Plus versions, but the presence of this beefier version could well be Apple's way of offering a smartphone that's more geared towards high-end photography and media apps that just providing a decent smartphone alternative to Android. Why not check out: Is THIS our first proper glimpse at the iPhone 7?